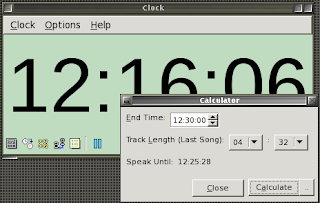 This version of Timing Clock is no longer available - click here for more information on our latest version. 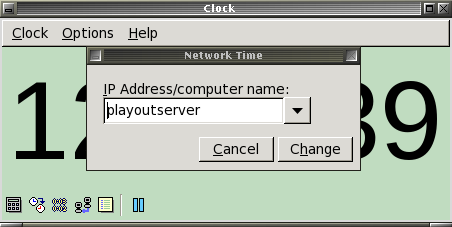 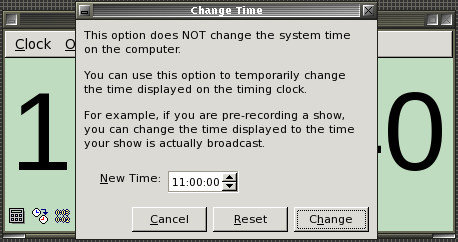 Display the time from another server/computer on a network - for example retrieving and displaying the time from a playout server. 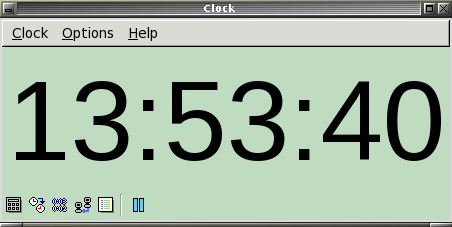 Display a countdown timer similar to a stopwatch. Option to set the Timing Clock to always be visible over other applications, useful if your audio player does not include a clock! 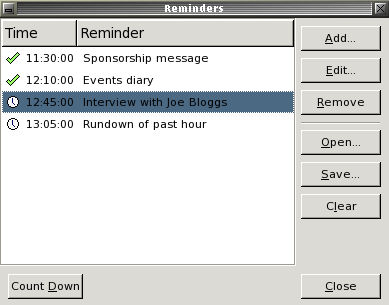 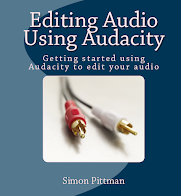 Version 3.1 includes the option to duplicate reminders, display the next reminder when putting your mouse pointer over the clock, and other minor improvements and bug fixes. 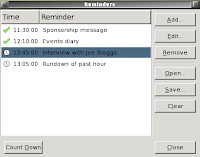 A full list can be found in the product's documentation.